OTTAWA — Former attorney general Jody Wilson-Raybould was involved in extensive, internal government discussions last fall about whether SNC-Lavalin should be allowed to avoid criminal prosecution — and government officials maintain there's nothing wrong with that. Wilson-Raybould's continued refusal to comment on the allegations added fuel to the political fire, started Thursday by a Globe and Mail report that she was demoted in a cabinet shuffle early last month because she refused to intervene in the SNC-Lavalin case. In a statement Friday morning, Wilson-Raybould, now veterans-affairs minister, said she is bound as the former attorney general by solicitor-client privilege and cannot publicly talk about aspects of the case. "At no point has the current minister of justice or the former minister of justice been directed or pressured by the prime minister or the Prime Minister's Office to make any decision on this or any other matter," Virani told the House of Commons on Friday. "The attorney general of Canada is the chief law officer of the Crown and provides legal advice to the government with the responsibility to act in the public interest. He takes those responsibilities very seriously." But no pressure does not mean there were no discussions about the issue, officials said. And the fact that the attorney general is supposed to be above political considerations does not mean he or she can't be involved in those discussions. In part, that's because the attorney general in Canada wears a second hat as justice minister and, in that role, is expected to fully take part in all public-policy discussions around the cabinet table. Moreover, as justice minister, Wilson-Raybould was responsible for a 2018 Criminal Code amendment at the heart of the current controversy — which specifically allowed for what's known as deferred prosecutions or remediation agreements to be negotiated rather than pursue criminal prosecutions against corporations. SNC-Lavalin has taken out newspaper ads and heavily lobbied ministers, government officials and even Conservative Leader Andrew Scheer and NDP Leader Jagmeet Singh to make its case for avoiding a prosecution. Quebec Premier Francois Legault has also pressured Trudeau directly to intervene on the company's behalf. Officials pointed to a document entitled "Open and Accountable Government" on the PMO website, which spells out the conduct expected of ministers, including a lengthy section on the dual role of the justice minister and attorney general. On the matter of issuing directives to the director of public prosecutions (or "DPP"), the document says: "It is appropriate for the attorney general to consult with cabinet colleagues before exercising his or her powers under the DPP Act in respect of any criminal proceedings, in order to fully assess the public policy considerations relevant to specific prosecutorial decisions." None of that is likely to matter with opposition politicians, who maintain the whole affair smells like obstruction of justice. The Conservatives' Scheer and the New Democrats' Singh both called Friday for an ethics probe into the allegations. "If the prime minister has nothing to hide, as he has suggested, then he should have no reason to fear these individuals appearing before the justice committee," Scheer said in a Friday morning news conference on Parliament Hill. "MPs have a duty to determine what exactly happened here and Justin Trudeau and his office must be forthcoming." 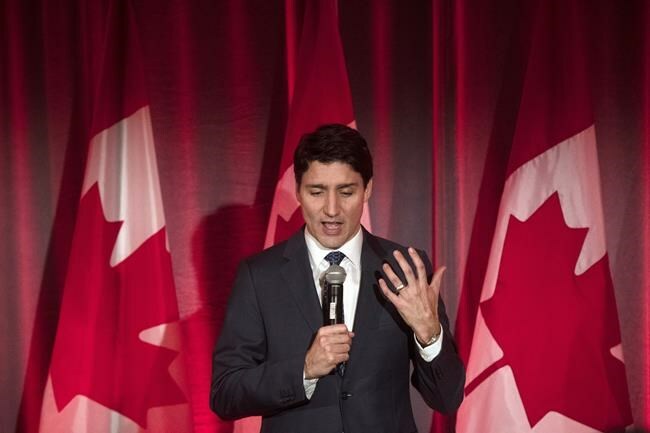 "All this cries out for some serious investigation," he said in a telephone interview from Burnaby, B.C., where he's campaigning for a seat in the House of Commons in a Feb. 25 byelection. "If he truly wants to clear this up and believes there's been no wrongdoing, he should welcome an investigation from the ethics commissioner. ... Tell us what happened, be transparent, invite the ethics commissioner to investigate and tell us that this is not the case or, if it is the case, then there's a serious reckoning that needs to happen." "The allegations that we are hearing in the last 24 hours are unprecedented," Scheer said. Singh accused the government of sacrificing justice in the interests of a multinational corporation. He said the allegations suggest there may have been possible violations of three sections of the federal Conflict of Interest Act: the prohibitions against public office holders giving preferential treatment to any individual or organization, using insider information to improperly further a person's private interests or seeking to influence a decision to further another person's private interests.